Get a FREE copy of our new financial literacy resource entitled: Your Money Matters! This resource lets youth look at ways to manage the money in their lives. It looks at some of the financial choices that are available to them and examines the rewards and consequences of their financial decisions. Student loans. Credit cards. Saving for studies after high school. These are just some of the money choices that they will need to deal with by the time they finish high school. Now is the time for them to begin thinking about some of the choices that they will soon need to make. Your Money Matters! provides practical, real-world money management examples that will help youth develop critical thinking, decision-making and problem-solving skills. 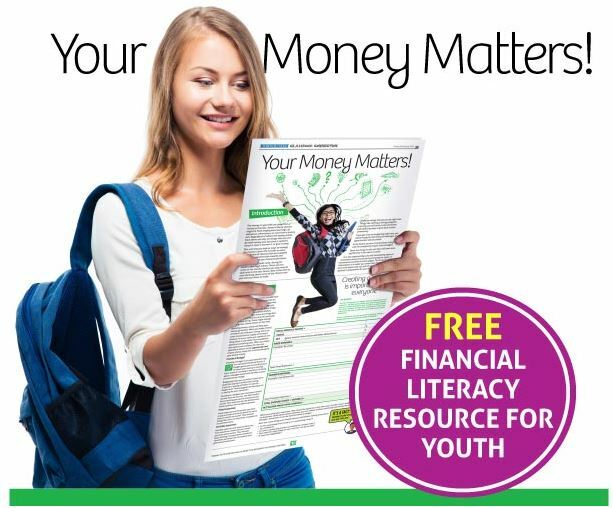 This resource is suitable for ages 12-18.
fill out this form to receive a free copy of Your money matters!